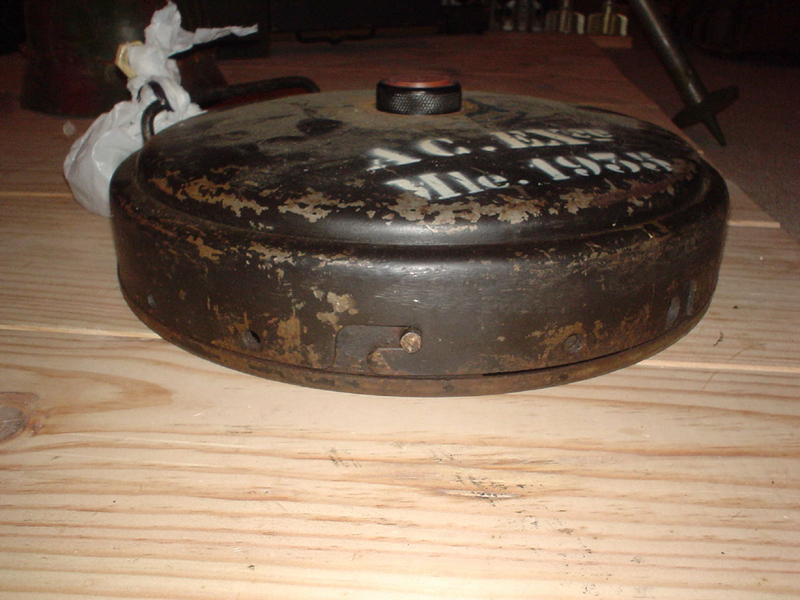 In its outer form, this practice A/T mine looks a lot like the German Tellermine35 Üb of WW2. 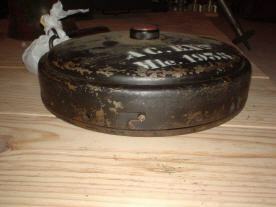 It differs in the fact that the top can be taken off to insert a practice smoke charge. 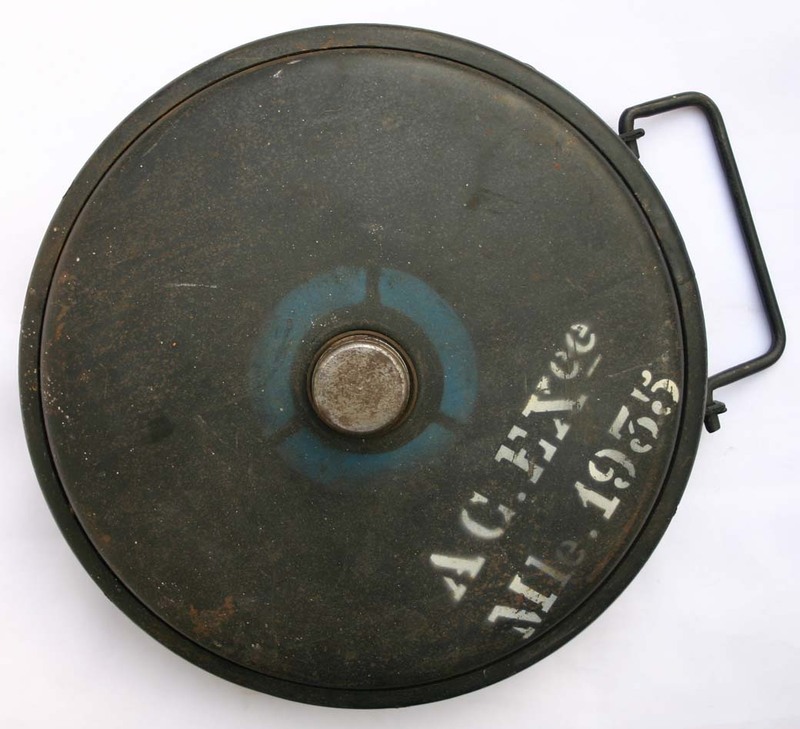 These mines were issued 5 in one case, measuring 80x45x43, which weighed some 50kilos. Filling : 400gram blackpowder charge. 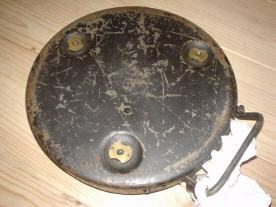 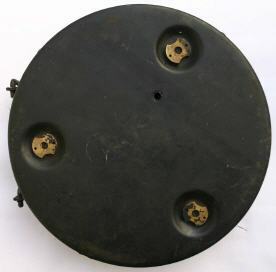 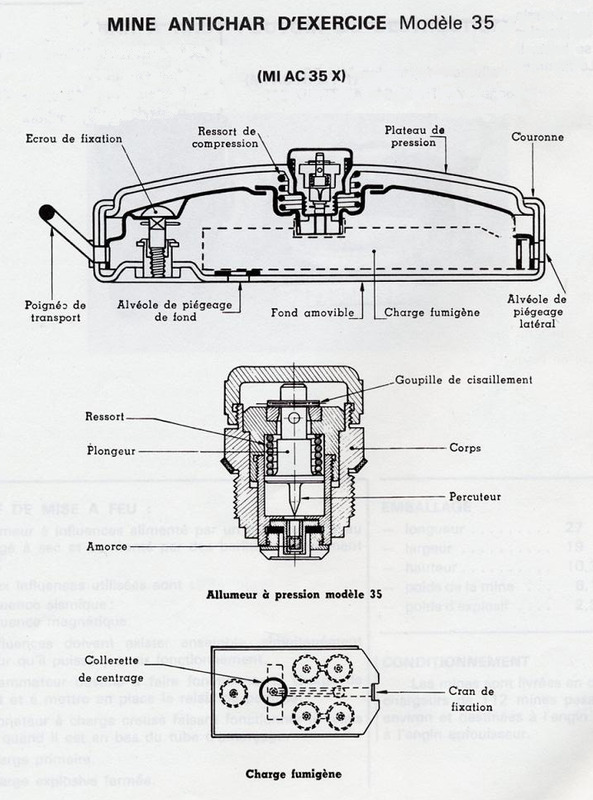 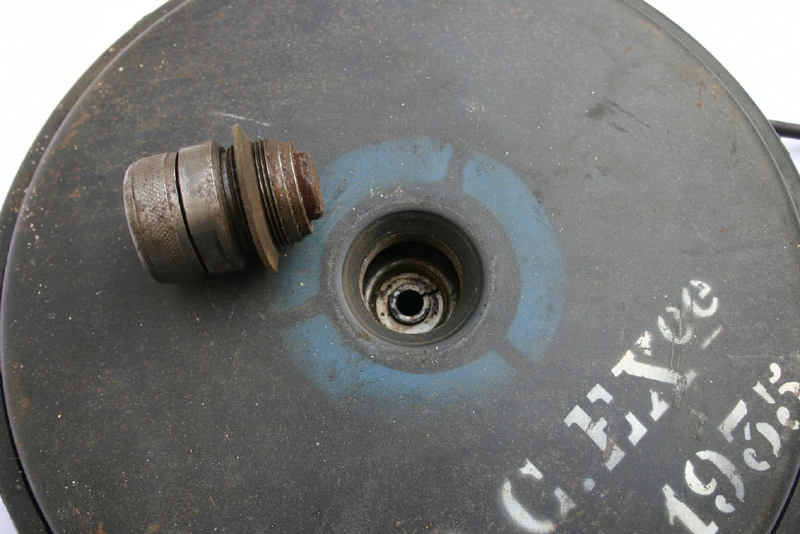 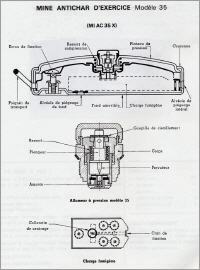 The fuze used with this mine was the Allumeur a pression modele 35. This mine appears to be the same as the Dutch Nr.27 practice A/T mine.